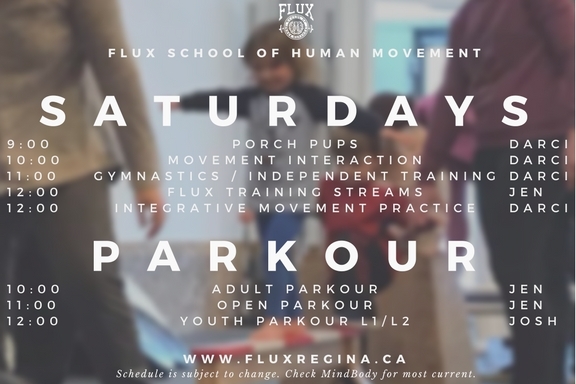 We're excited to make a few changes to our Saturday class schedule in 2018. Coach Darci will be leading Movement, Gymnastics and Integrative Movement Practice every Saturday starting next week when she is back from training in L.A. This schedule begins this week and as such, your class registrations may have moved around a bit. Please double-check MindBody before heading out to classes.